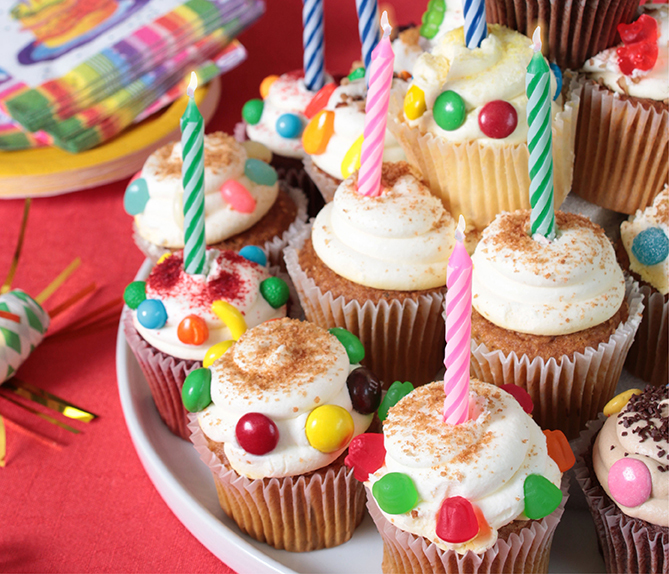 Decorate cupcakes attractively with candies. Place foam circle in center of a flat 13" (32 cm) platter or cake board. Place 12 cupcakes on plate around the foam. Arrange 7 cupcakes around edge on the foam. Arrange 3 cupcakes together on center of the previous layer of cupcakes. Place 1 cupcake on top of this layer. Insert candles on cupcakes as desired. Trim foam if necessary so cupcakes fit around it on the plate.